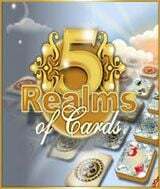 Download 5 Realms of Cards for free at FreeRide Games! 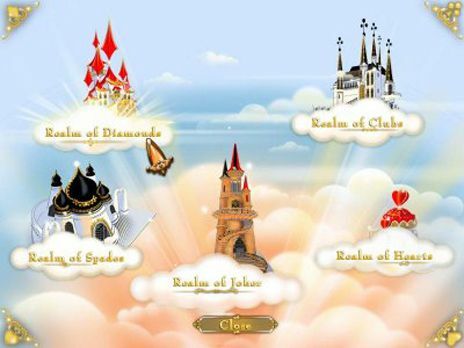 In 5 Realms of Cards, a solitaire game with a twist, the land of Princess Jokerina has been robbed of its grandeur by evil forces. The magic Signs of Suits have been corrupted and destroyed, plunging her entire kingdom into utter chaos. Help the young princess to battle her way through 5 different realms and 72 superbly rendered levels, in a desperate attempt to restore peace and prosperity to her land. Unlock 5 exciting mini games as you progress through the levels, for some more unique solitaire action. Gorgeous pre-rendered levels, addictive gameplay, and intriguing mini games make 5 Realms of Cards a highly addictive and fun Card game for the entire family.